Due to fast-growing mobile devices usage such as smartphones and wearable devices, the rapid information propagation in the Mobile Social Networks environment is very important. In particular, information transmission of people with repeated daily patterns in complex areas such as big cities requires a very meaningful analysis. We address the problem of identifying a key player who can quickly propagate the information to the whole network. This problem, in other words, often refer as the information propagation problem. In this research, we selected the top-k influential nodes to learn the knowledge-based movements of people by using a Markov chain process in a real-life environment. Subsequently, their movement probabilities according to virtual regions were used to ensure appropriate clustering based on the Density-based Spatial Clustering of Applications with Noise (DBSCAN) algorithm. Since moving patterns in a university campus data have a dense collection of people, the DBSCAN algorithm was useful for producing very dense groupings. After clustering, we also elected the top-k influential nodes based on the results learned from the score of each node according to groups. We determined the rate at which information spreads by using trace data from a real network. Our experiments were conducted in the Opportunistic Network Environment simulator. The results showed that the proposed method has outstanding performance for the level of spreading time in comparison to other methods such as Naïve, Degree, and K-means. Furthermore, we compared the performance of RandomDBC with that of ActiveDBC, proving that the latter method was important to extract the influential top-k nodes, and showed superior performance. This research was supported by the Basic Science Research Program through the National Research Foundation of Korea (NRF) funded by the Ministry of Education, Science, and Technology (2016R1A2B4010142). Lu, Z., Sun, X., & La Porta, T. (2016). 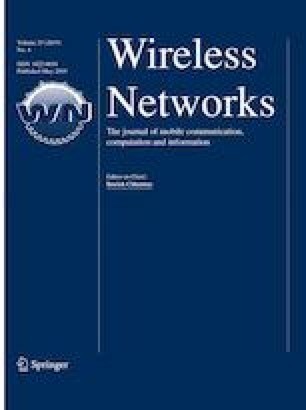 Cooperative data offload in opportunistic networks: From mobile devices to Infrastructure. arXiv preprint arXiv:1606.03493.